We’ve been on location at South Georgia Motorsports Park for the past week. Here’s a Lights Out 7 recap from the Fireball Race Team. The racing community is a tight knit group. As we unloaded the Fireball, many recognized this car or thought they recognized it. 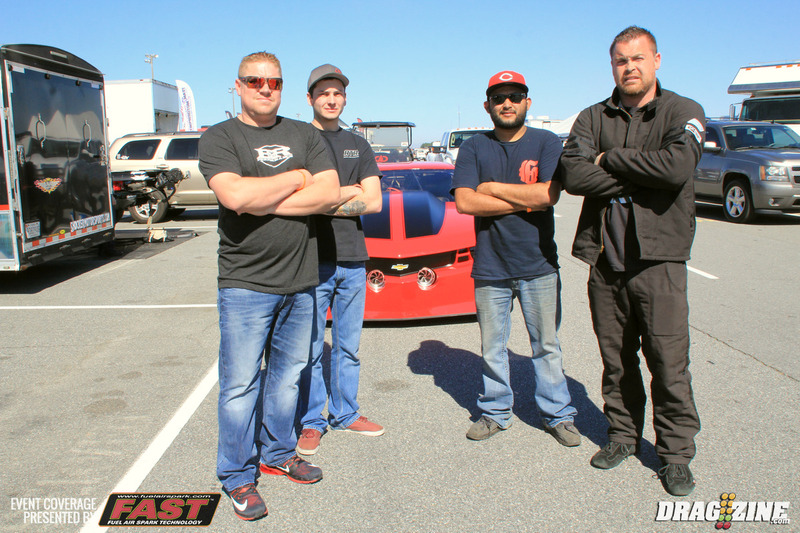 Fireball Racing Team: Ryan Martin (far right) is our fearless driver. Also from left to right is Billy Hayes, Wes Timmerman, Javier Canales and Ryan Martin. Not in this photo but unquestionably the most key member of the team is Russ Harrison. 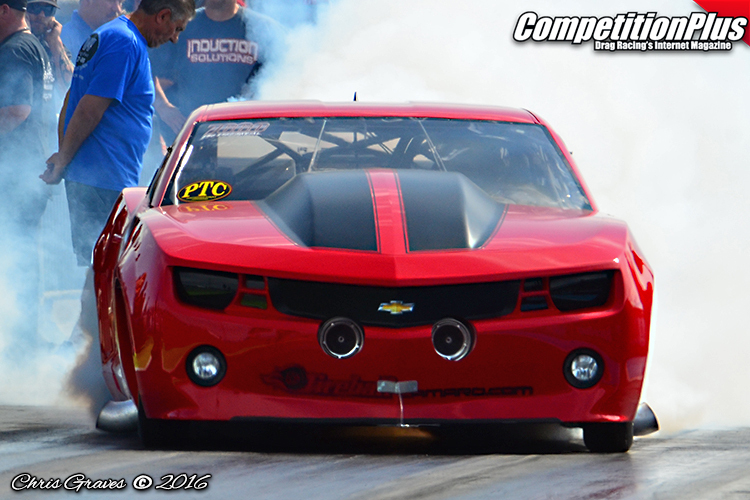 Russ Harrison, co-owner of the Fireball Racecar, purchased the Camaro last year from Joe Copson. We immediately made a number of changes to it including fresh paint, new heads and turbos. The work was done by our very own B&R Performance team. The Fireball Racecar showed well in qualifying rounds. We were sitting in 12th place after completing a 4.12 second qualifying pass. This shot was from a test Ryan Martin, driver of the Fireball Camaro Racecar, made earlier this morning. He completed this pass in 4.08 seconds at 196 miles-per-hour! Ryan qualified 22nd in the 32 car field for RVW in the Fireball Racecar. 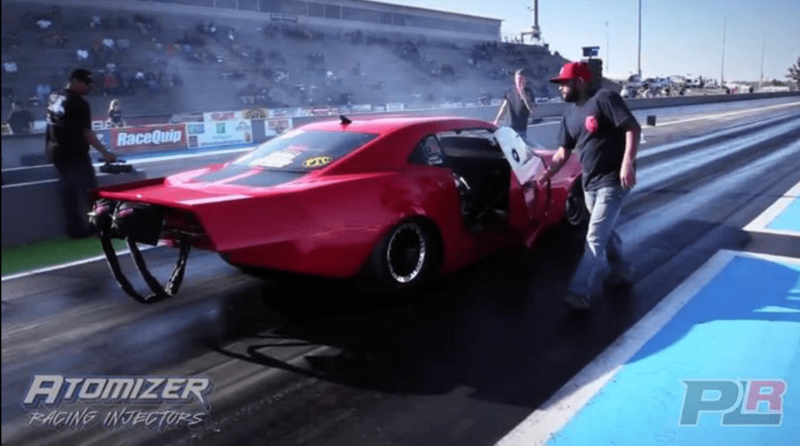 In round one action, Martin used a 4.22 to take out Mark Woodruff, then defeated Josh Klugger before meeting up with Stevie Fast in round three. Martin gave Stevie a solid race but came up short with a 4.07 second pass at 194 mph to Jackson’s 4.01 at 190 mph. Great runs Ryan and a good showing for the car’s first event after so many new changes. We’re just getting started! That’s it for our Lights Out 7 Recap. We’re ready to make some improvements and go back next year.